Try out FISHBUOY Mobile App today! DOWNLOAD NOW and starting building your own personal history of fish catches! FISHBUOY TripPlanner is the ultimate tool for planning your next fishing trip. From maps to weather to your own history of fish catch data. Plan right, fish smart, catch fish. Water levels play an important role when determining the best places to fish. Whether fishing man-made reservoirs or natural rivers, both fluctuate throughout the year based on precipitation amounts or operational works. Changes in water levels directly influence fish feeding behaviour and holding patterns. If you want to catch fish, you will need to begin developing your knowledgebase. FISHBUOY helps by providing water level data for major reservoirs, lakes, rivers and streams across North America. 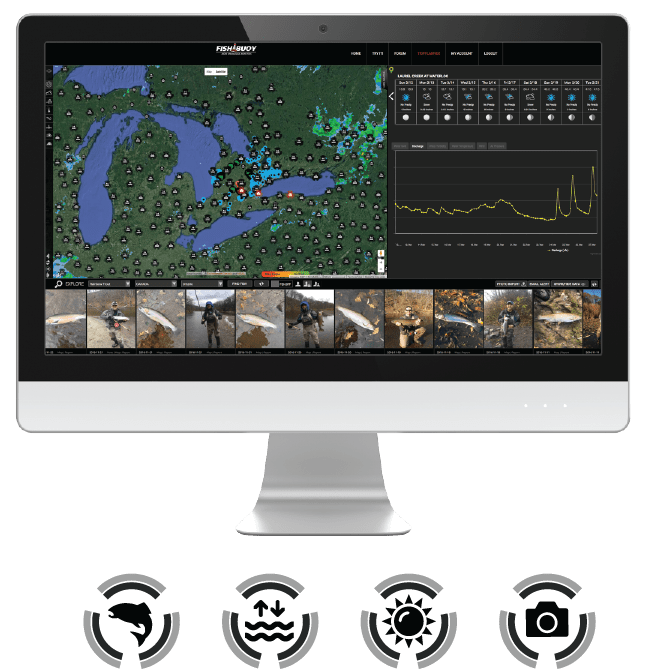 FISHBUOY TripPlanner integrates with the USGS National Water Information System and the Water Office of Canada to provide real-time and historical water data that you can use to make smarter decisions. There is no better time to fish when water is on the 'rise' or the 'decline'. FISHBUOY offers the ability to create custom alerts based on water levels. During high reservior levels, fish may find more structure along the shorelines. As water recedes, those structures move above the waterline, forcing fish to find new structure. Use FISHBUOY photos to establish those locations. 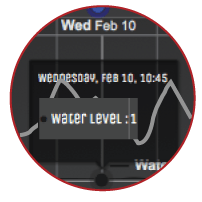 In the absence of turbidity monitoring, water levels can offer hints to what the water clarity may look like. Pay attention to your fish photo data and begin to build your history, correlating water levels with fish catches. High water can create dangerous wading conditions, low water can create hazardous boating conditions. Pay attention! * - Data dependent on monitoring station data availability and varies from state to state, province to province. Talk with your local water agencies to expand the network!